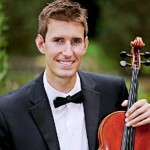 A native of Indiana, violist Ben Weiss attended the Indiana University Jacobs School of Music. During his eight years of study there Mr. Weiss completed his Bachelor of Music degree and Performer Diploma in violin as well as a Performer Diploma in viola. While at Indiana University he was a member of the Richmond Symphony Orchestra, Terre Haute Symphony, Carmel Symphony and the Columbus Indiana Philharmonic. Ben and his wife Jenny enjoy performing together as the Weiss Duo and he has made Charleston his home to teach violin and viola at the Ashley Hall School. In addition to Chamber Music Charleston, he also performs regularly with the Charleston Symphony Orchestra and teaches at the College of Charleston. Mr. Weiss is a regular member of Chamber Music Charleston.